Gift Cards are perfect for all your gifts, incentives and rewards. Gift cards are an innovative, memorable, cost effective way to reward customers and motivate staff. Gift Cards are the perfect incentive or reward for employees and customers. From staff recognition programs and staff gifts, employee benefits, thank you gift programs, sorry programs and more. We can assist with your reward and incentive requirements, from setting up a simple corporate account through to the end to end development and management of your rewards program. 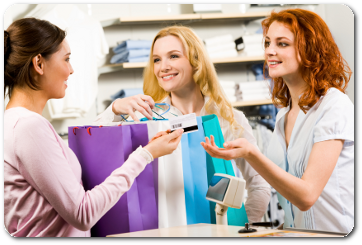 Choose from a range of retail gift cards, the VISA Universal Gift Card or the MyPrepaidCard eftpos card to motivate and reward your staff. For corporate Gift Card sales, call us on 1300 128 219 or click on www.corporateprepaidgiftcards.com.au for more information. commissions and bonuses on reloadable cards, no hassle!